Bling! explores the capitalistic drive for representational objects of status and power that are often derived from exploit and colonial means. Bling! attempts to question how the role of the consumer is complicit in and perpetuates economic relationships with marginalized people rooted in colonialism. 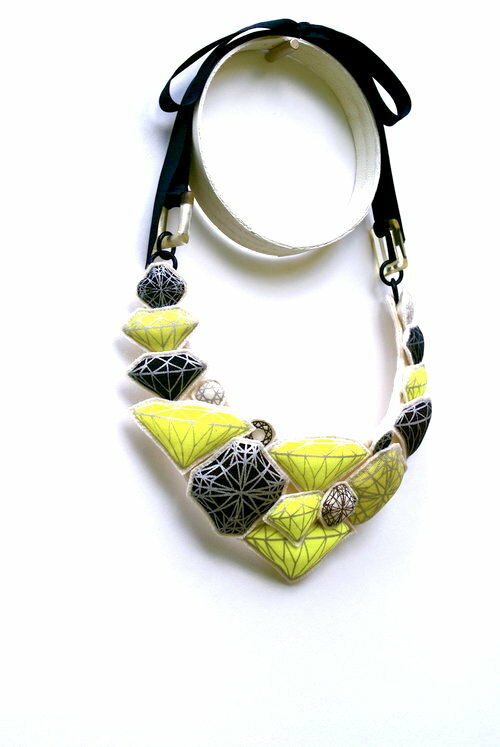 This series has been featured on renowned design sites including Mocoloco, Design You Trust, TheMag and selected as one of Trendhunters top 65 statement necklaces. Bling! was initially launched in 2009, as a solo exhibition at Centre in Hamilton, Canada, and has been exhibited in various art galleries throughout Toronto and Hamilton, Canada.